Every time history repeats itself the price goes up. Humanity's ascent is often measured by the speed of progress. But what if progress is actually spiraling us downwards, towards collapse? Ronald Wright, whose best-seller A Short History of Progress Surviving Progress, shows how past civilizations were destroyed by “progress traps;” alluring technologies and belief systems that serve immediate needs, but ransom the future. As pressure on the world's resources accelerates and the financial elite bankrupt nations, can our globally entwined civilization escape a final, catastrophic progress trap? 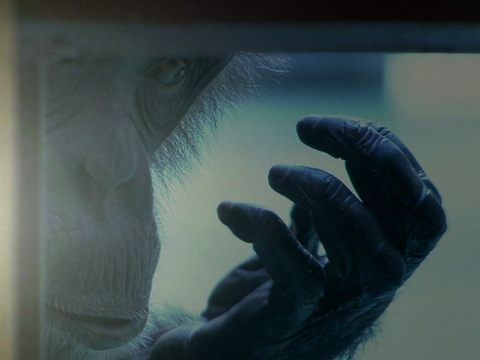 With potent images and illuminating insights from thinkers who have probed our genes, our brains, and our social behavior, this requiem to progress-as-usual also poses a challenge: to prove that making apes smarter wasn't an evolutionary dead-end. Mathieu Roy is a Montreal-based filmmaker whose career path has steered him into the worlds of cinema, theatre, opera, TV and classical music. His first film, François Girard en Trois Actes, was awarded the prix Gémeau for best cultural documentary. He directed La Peau de Léopard, a documentary featuring journalist Pierre Nadeau on the Israeli-Palestinian conflict. Mathieu's latest documentary, Ecclestone's Formula, is the first project to tell the story of Formula One supremo Bernie Ecclestone. His's current projects include his first fiction feature, a family drama and a multimedia project about Martin Scorsese's World Cinema Foundation. Entitled Toutes les Mémoires du Monde, the film will feature Scorsese himself as well as Walter Salles, Abbas Kiarostami, Wim Wenders, Bertrand Tavernier, Fatih Akin and Wong Kar Wai. Harold Crooks is an author and writer/producer whose award-winning and acclaimed documentary film credits include: The Corporation; Karsh Is History; Pax Americana And The Weaponization of Space; The World Is Watching; Bhopal: The Search for Justice; and the TV series Black Coffee. He is a recipient of a Genie Award of the Academy of Canadian Cinema and TV; a Gold Hugo at the Chicago International Film Festival; a Leo Award for Best Screenwriter (Documentary) of the Motion Picture Arts and Sciences Foundation of BC; and a National Documentary Film Award. Into this category falls Harold Crooks' Giants of Garbage.